Children's ministry is just like any other area of the church...everything rises and falls on leadership. Great children's ministries are made possible by great leadership. 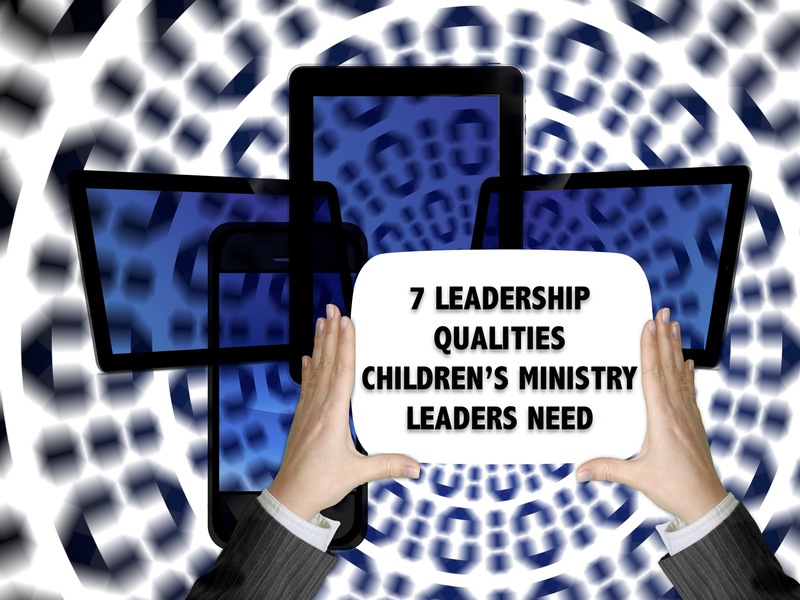 Are you called to lead a children's ministry? Or maybe you want to improve as a leader? What qualities should be in your personal DNA? What qualities should you focus on and seek to grow in? I sat down and made a list of 7 of the most important ones. This is not an exhaustive list, but it's a good place to start. Read through them. Then get alone and take some time to ponder the questions that are included. Write down some action steps that you can take to improve in these areas. As the leader, it's important to be able to consistently generate fresh, new ideas for the ministry. This keeps the ministry from getting stale or falling into a rut. There are times when the ministry will need to be reinvented to stay relevant. Being innovative doesn't mean you have to be a creative genius. In fact, the best way to bring innovative new ideas to the table to is have everyone around the table work together to create the ideas. An innovative leader knows the smartest person in the room is the room and he/she knows how to pull the best ideas out of the group. The passion level of the ministry will never rise above your personal level of passion. A children's ministry leader must be able to stand before kids, families, parents and volunteers and communicate with passion. You must be a thermostat rather than a thermometer. The difference? A thermostat sets the temperature. A thermometer only measures the temperature. When you share the vision of the ministry, it should cause people's heart to beat faster. That only happens when they see and feel passion from you, as the leader. Passion is not taught...it is caught. In my book, If Disney Ran Your Children's Ministry, I share the story of when Walt Disney was trying to convince the financial board to provide the money to build Disneyland. Here's what happened. "As he stood before the board, he admitted it was hard for them to envision Disneyland the way he could, but he assured them, 'There's nothing like it in the world. I know because I have looked. That's why it can be great: because it will be unique. A new concept in entertainment, and I think...I know...it can be a success.' When he finished their were tears in his eyes. The members of the board were persuaded." Disney parks exist today, as the number one vacation destination int the world for families, because of one man's passion. If Walt could be that passionate about building the Magic Kingdom, how much more should we, as leaders, be passionate about building God's kingdom! A children's ministry leader should know what his/ her strengths and weaknesses are. They should know what their personality type is, what their spiritual gifts are, what time of the day they are the most productive, be able to sense when they are stretched too thin and need rest, etc. They are committed to growing personally in the areas they are aware of. Recently I was asked at a conference how you build trust with parents. My response was that it takes time to build trust. It is not a gift that people give you. It is a something you must earn through consistency over a period of time. It's integrity that comes from the core of who you are and what you believe. It's about following through with your promises, admitting when you make a mistake and apologizing for it, making decisions based on principle rather than on emotions, paying attention to the little things and taking the high road when the low road would be an easy out. Am I willing to admit my mistakes? Do I take the blame rather than trying to pass it to someone else when things don't go as planned? A children's ministry leader must be more about empowering than doing. Your calling is to empower others for the work of the ministry. It's in your job description (check out Ephesians 4). This means enlisting people to serve with you, equipping them with the tools and knowledge they need to be successful and then releasing them to run with it. This means getting past any insecurities you may have about other people getting the spotlight, letting go and not having "control" over everything and gathering people around you who are smarter and more gifted than you are. Average children's ministry leaders only empower themselves. Great children's ministry leaders empower others. It's important to be a positive person. You should be seen smiling most of the time. Rather than saying "the sky is falling" you are saying "let's shoot for the sky." You see obstacles as an opportunity to break out of your comfort zone. You see complaints as a gift that has been sent to help the ministry improve. When you bring your pastor a problem you are facing, you bring several solution suggestions as well. You point people to a bright future. You believe the best days of ministry are just around the river bend. When your volunteers leave a meeting with you, they leave encouraged. This is a quality that can't be quantified. It's outside of a person's talents, abilities or charisma. It's a quality that transcends any earthly manufacturing. It's the anointing and power of the Holy Spirit. This comes from spending time with God and walking in obedience, surrender and dependence. It's falling on your face and saying, "God, I am desperate for your help. This is too big a task for me. Nothing will happen without your anointing. Please fill me with your power and do what I cannot do." Have I gotten so "experienced in ministry" that I don't depend on the power of the Holy Spirit?